Teeth whitening is one of the easiest ways to improve your smile. It is quick, economical, and non-invasive. Though some of our patients at Mirelez Wellness Dental in Fresno experience short-term sensitivity, most report no pain at all. There are many DIY teeth bleaching treatments available and it seems like new varieties appear every time you visit the toothpaste section at your grocery store. Tooth whitening strips and pens, for example, can brighten your teeth a few shades. But the peroxide – the common ingredient in teeth whitening – is in much lower concentrations than the solutions used at the dentist’s office. It may not be effective enough for your tooth stains. Tooth whitening offered at mall kiosks is risky, also. Most of these teeth whitening businesses have no professional oversight and the employees have little dental training. We recommend extreme caution when considering a take-home whitener. If you have cavities, gum recession, crowns, or veneers, you definitely need professional guidance. Even though teeth whitening seems simple, your teeth deserve a professional opinion. 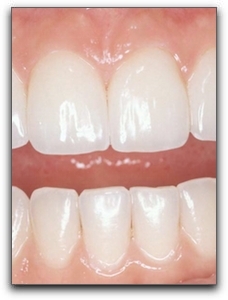 Call us at Mirelez Dental Wellness in Fresno to schedule a tooth bleaching evaluation. We also provide family dentistry, dental implants, and other cosmetic dentistry services.